REIG Companies is Honored for Building Industry Community Spirit Award by the PCBC Gold Nugget Awards. 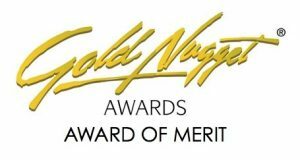 San Diego, CA, June 3, 2016— Judges for the 2016 Gold Nugget Awards have named REIG Companies as an Award of Merit winner in its annual competition, which honors architectural design and planning excellence and draws entries from throughout the United States and internationally. REIG Companies earned its Merit honors for Operation Renovation, which was honored for the Building Industry Community Spirit Award. Chosen from the elite pool of Merit Award winners, Grand Awards will be announced on June 23 as a feature highlight of PCBC®, the nation’s largest regional conference and trade show for the real estate development field. Now in it’s 53rd year, GNA is the largest and most prestigious competition of its kind in the nation. It honors design and planning achievements in community and home design, green-built housing, site planning, commercial, retail, mixed-use development and specialty housing categories. Winners this year were chosen from over 600 entries from around the world. REIG is a multifaceted real estate investment firm based in Southern California. At REIG, our focus of revitalizing communities is coupled with an unfailing commitment to exceed expectations, and strong relationships built on unbending trust and hard work. Today we have interwoven our love and gifting of real estate with a calling to make a lasting impression on people’s lives through the ownership, management, and repair of multifamily and residential real estate. It is at REIG’s heart to give back and to serve our community, especially our local heroes. We are grateful to have been a part of Operation Renovation, and hope that it drives other like-minded companies to give back.